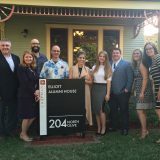 Black Hill Press and the Leatherby Libraries at Chapman University present The New Writer: An Author’s Responsibility in the 21st Century. Alumni are invited back to campus to join us for this panel discussion which will explore the author’s role in the book business with Kevin Staniec ’01, co-founder of the publishing collective, Black Hill Press, and authors Veronica Bane ’11 and Kate St. Clair. The program will be recorded live in conjunction with The How & The Why: Documenting the Creative Process and the Creative Purpose, a Black Hill Press podcast hosted by Jon-Barrett Ingels. In this age where new styles of publishing are emerging at rapid rates and social media has become an essential piece of marketing, it is important for the new author to know how to navigate these waters. In this panel, the speakers will offer insight into how to build a presence as an author and how to dialogue with audiences once a book has been published. In addition, they will discuss the role of the author in a technology-fueled world. This event also celebrates the release of Miyuki by Veronica Bane and Spelled by Kate St. Clair. The authors will be signing artist editions of their novellas following the discussion. Novellas will be available for purchase for $12 each. 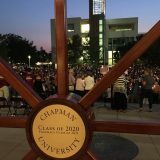 If you have questions or would like more information please email Jessica Price ’11 at pricej@chapman.edu.